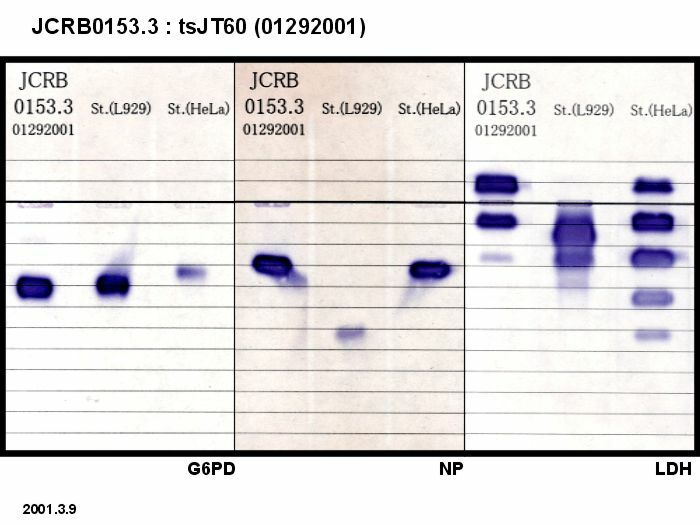 Rat 3Y1 derived ts mutant cell line with cell cycle arrest at G0 phase. A ts mutant for cell cycle progression from G0 to S phase. 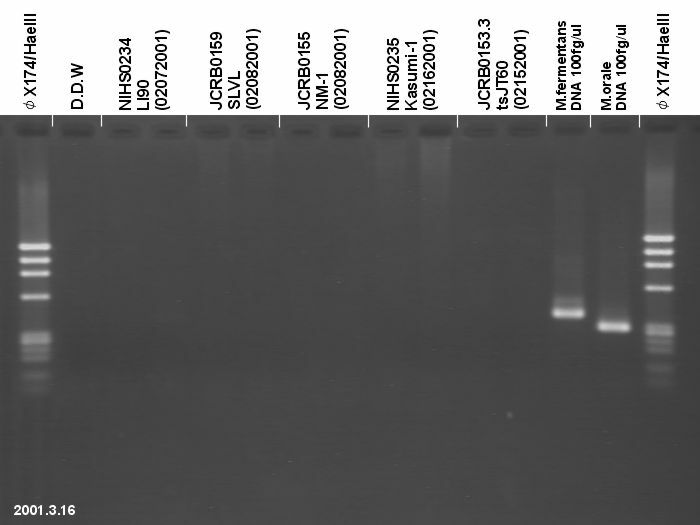 3Y1 derived ts mutant cell line with MNNG treatment. Cells grow at 34 C and are arrested at G0 at 40 C. Cells continue proliferation at both temperatures in cell cycle. Dulbecco's modified Eagle's medium with 0.1% glucose and 10% fetal calf serum. 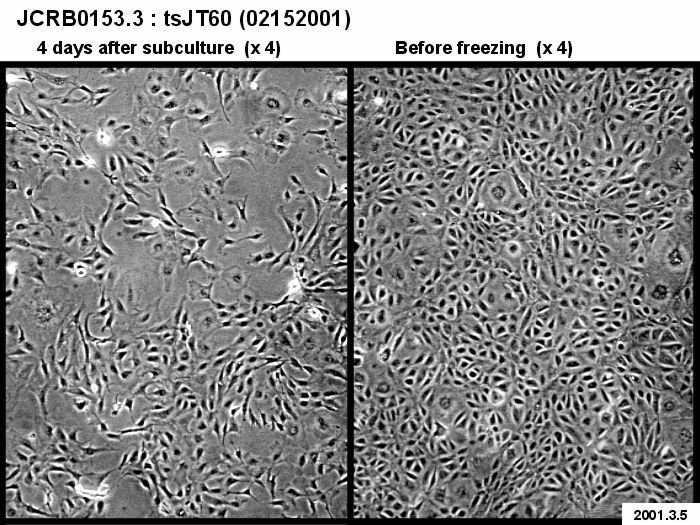 Cells harvested after treatment with 0.125% trypsin and 0.01% EDTA. Subculture once a week at split ratio=1/8 at 34 C.
Induction of gadd153 gene in G0-specific ts mutant cells at nonpermissive temperature. 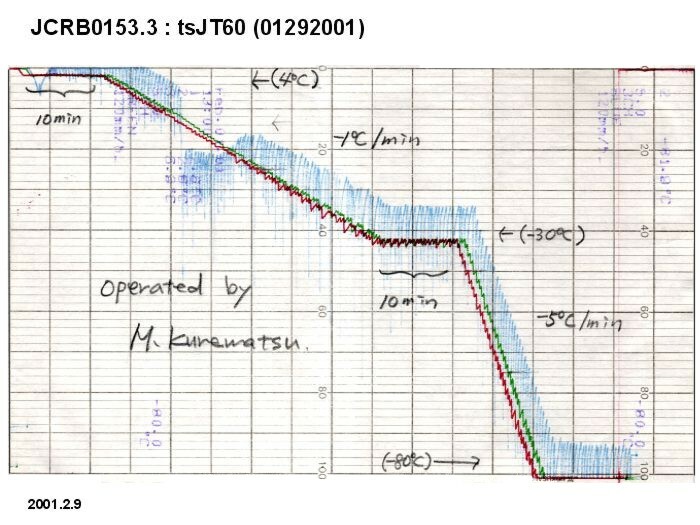 Nonlethal G0-ts mutant tsJT60 becomes lethal at the nonpermissive temperature after transformation: a hint for new cancer chemotherapeutics. A cell cycle G0-ts mutant, tsJT60, becomes lethal at the nonpermissive temperature after transformation with adenovirus 12 E1B 19K mutant. 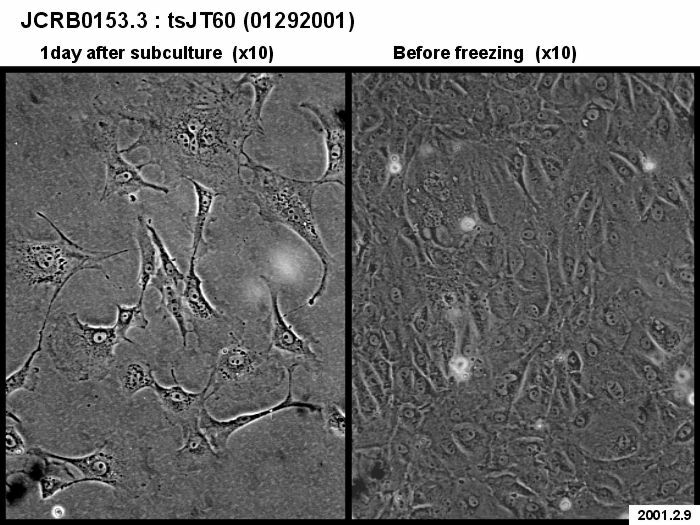 Entrance of SV40-transformed cells into G0 phase as revealed by a study using the G0-specific ts mutant tsJT60. 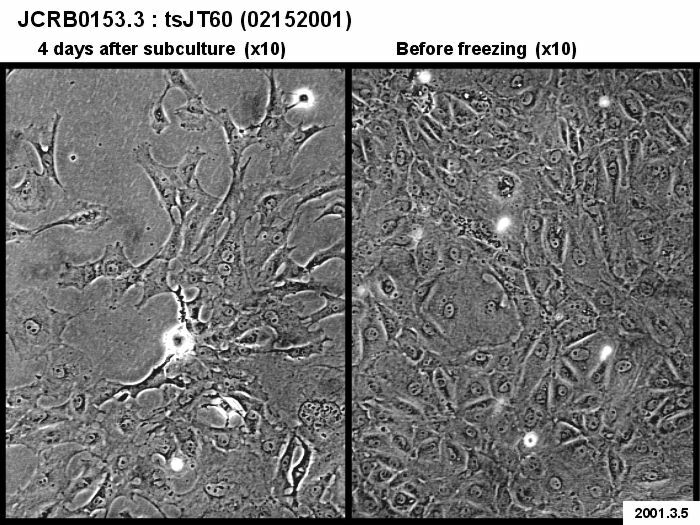 Epidermal growth factor has a unique effect in combination with fetal bovine serum to bypass the ts-block of G0-specific ts mutant tsJT60. 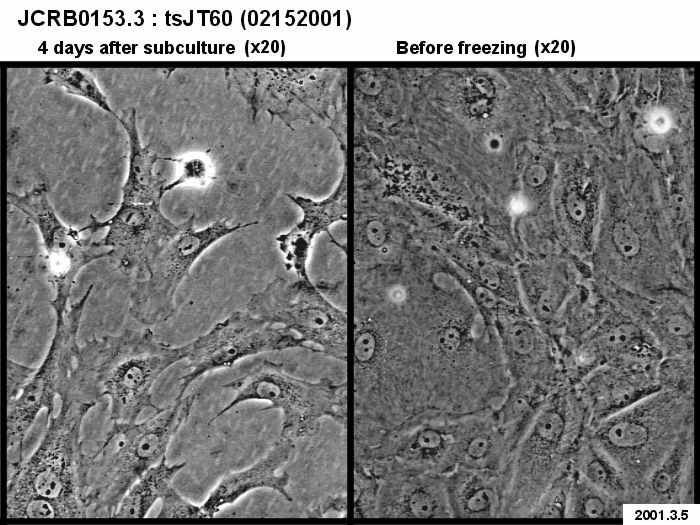 Bypass of the ts block of tsJT60, a G0-specific ts mutant from rat fibroblasts, by fetal bovine serum and epidermal growth factor. 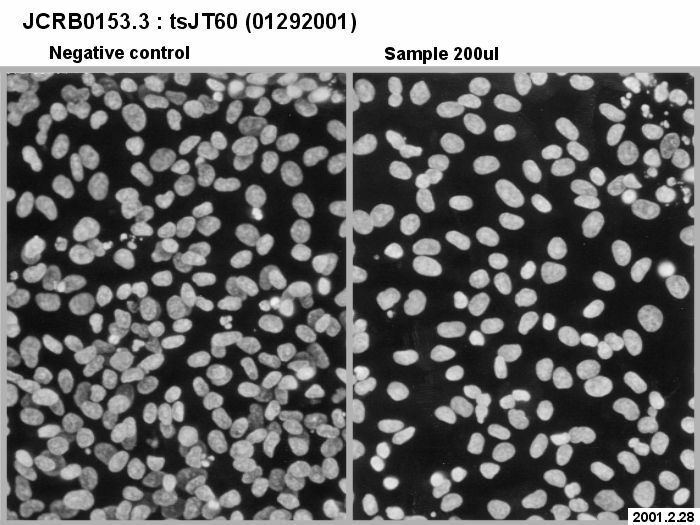 Induction of cellular DNA synthesis in G0-specific ts mutant, tsJT60, following infection with SV40 and adenoviruses. 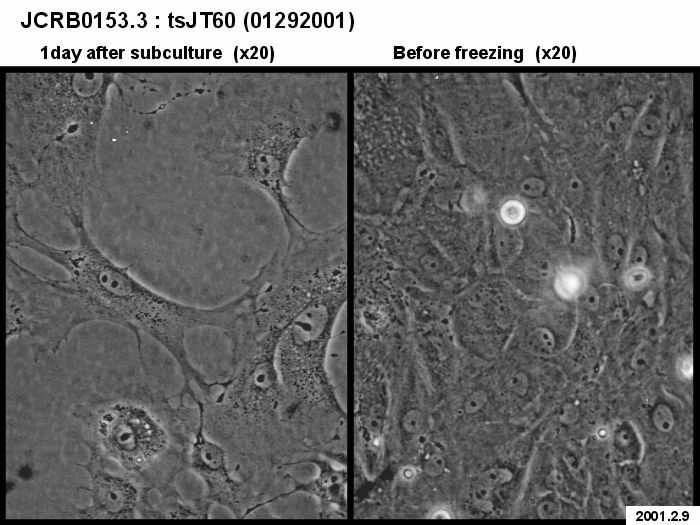 Expression of growth-regulated genes in tsJT60 cells, a temperature-sensitive mutant of the cell cycle. 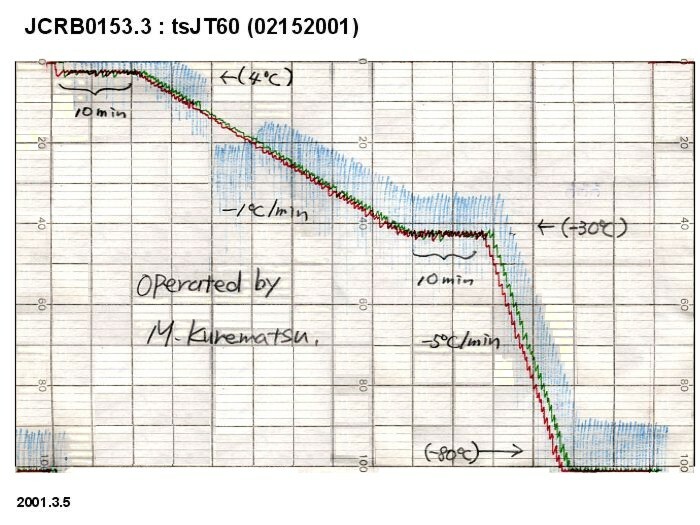 Defect in prereplicative phase of G0-specific ts mutant, tsJT60. 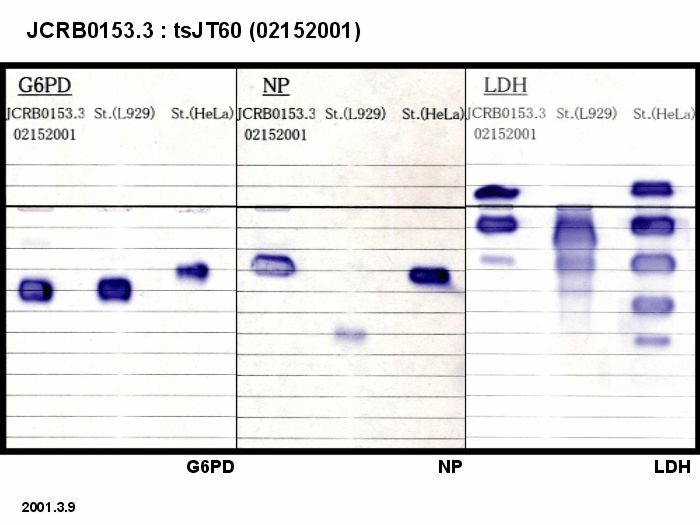 Isolation of a G0-specific ts mutant from a Fischer rat cell line, 3Y1. 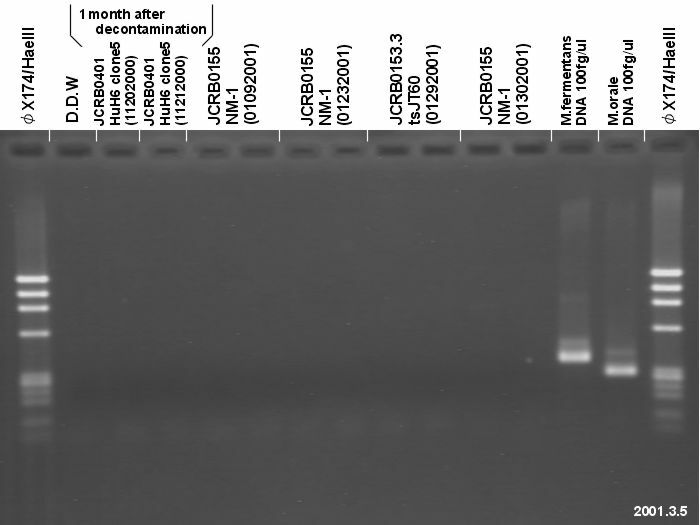 Dulbecco's modified Eagle's medium with 10% fetal calf serum (Mitsubishi PFCS PVF001). 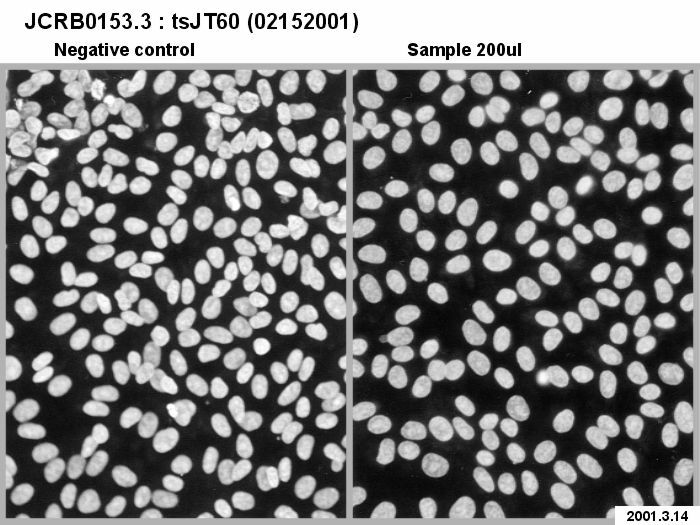 Cells are harvested after treatment with 0.125% trypsin and 0.01% EDTA. G6PD, NP, LDH examined. (rat).